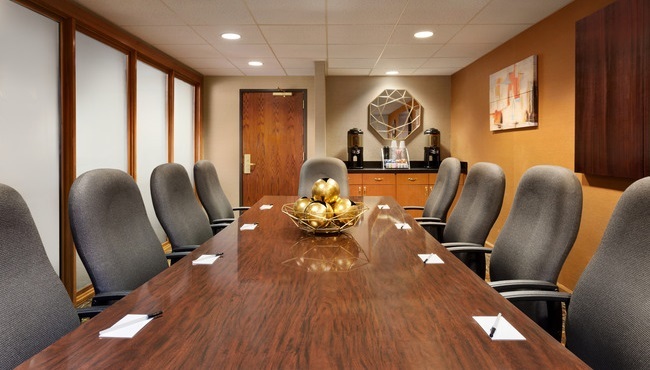 With more than 1,000 square feet of space, the meeting rooms at our Country Inn & Suites make it easy to host conferences and receptions of all kinds near Memphis, TN. Whether you’re inviting guests for a corporate training seminar, a baby shower, a family reunion, a church gathering or a birthday party, we help your event shine with amenities like free Wi-Fi and audiovisual equipment rentals. Plan your rehearsal dinner or wedding reception for up to 50 at our hotel, and celebrate your love with 40 of your dearest friends and family with a wedding ceremony in our versatile event space. Traveling with a tour group? Our hotel is located just off I-40 and only 20 minutes from Memphis if your group is looking to extend the festivities to a downtown nightclub or restaurant. Be sure to ask about special group rates.